Despite a record construction spree in Seattle, housing growth is actually down a bit this decade across King County as a whole, because development in the suburbs has plunged from its historical average. For decades, housing construction in King County looked about how you’d expect: Seattle, which has about one-third of the county’s population, built about one-third of the region’s new housing. The suburbs that make up the rest of the county built the rest. 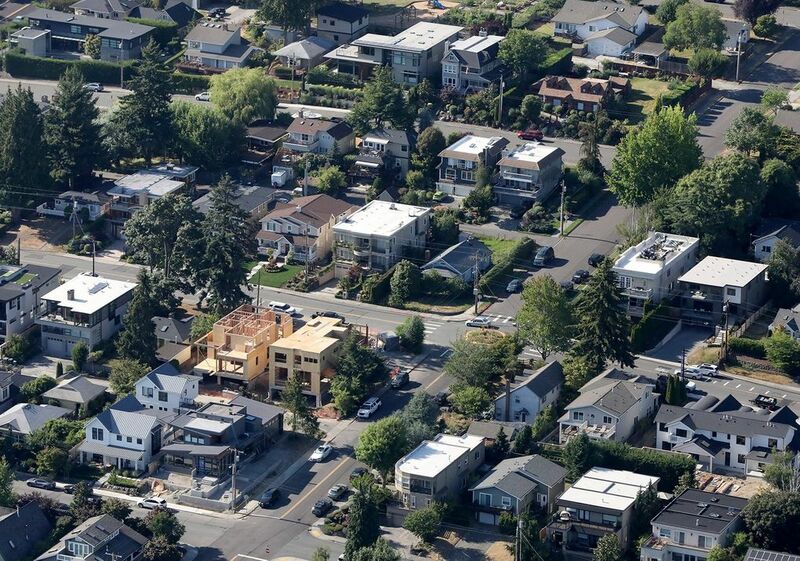 But now that has all changed: Seattle is building housing like never before. And housing growth has slowed significantly in the suburbs. The shift is the result of a combination of developers chasing the biggest profits in Seattle – where housing demand has gone through the roof, and city leaders have opened the floodgates for bigger buildings – and suburbs restricting new construction through zoning laws that all but ban new housing in most parts of the region. Overall, Seattle housing construction has grown 130 percent this decade compared to the average over the prior three decades, while housing development in the suburbs has dropped 43 percent from its historical average. Add it all up and the county as a whole is actually on pace for a slight decline in the overall number of homes going up here this decade, despite Seattle’s building frenzy. You may be thinking that those suburban numbers for the old days were padded by subdivisions of houses with yards and driveways spreading across vacant land. And it’s true that virtually all of the new single-family homes that have gone up here in recent decades were in the suburbs. But that’s only part of the explanation. For decades, local suburbs also built quite a lot of apartments, condos, townhomes and other dense forms of housing. From 1980 to 2010, Seattle accounted for only about 40 percent of all apartments and other multifamily buildings built in King County. 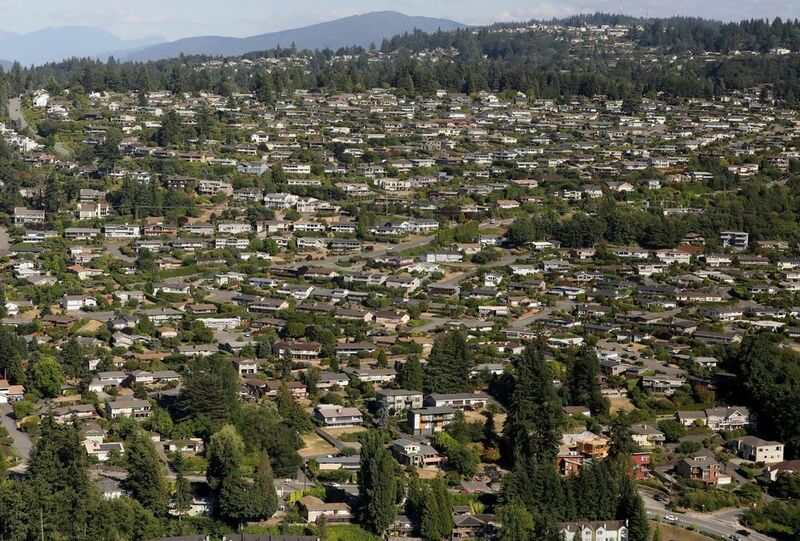 That’s right: For decades, the suburbs actually built more apartments than Seattle. When looking just at apartments and other multifamily buildings, construction is down 27 percent in the suburbs from its historical average. The biggest difference now, of course, is that vacant, developable land isn’t nearly as bountiful as it used to be. That means that adding housing generally means redeveloping something that already exists, like a parking lot or a low-slung strip mall. Seattle is doing that in a big way – completely transforming some of its low-density neighborhoods with towers and block-long apartment mid-rises – while the suburbs have done so in a much more measured way (or in the case of some towns, not at all). The reason housing construction has slowed down isn’t because fewer people want homes – just the opposite. 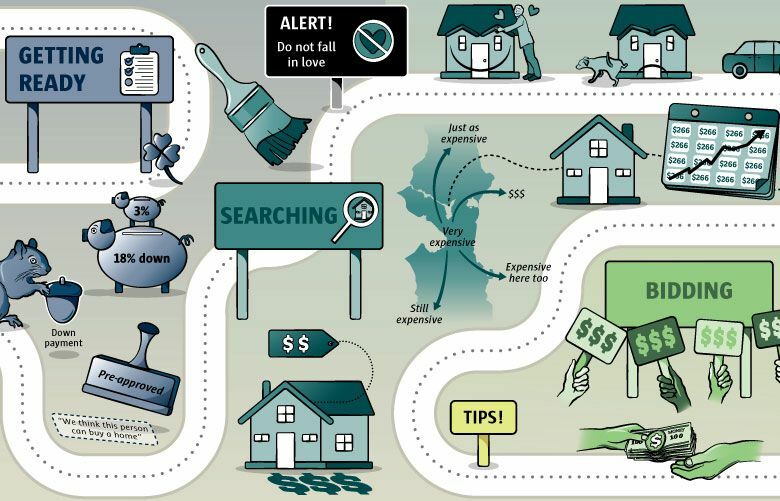 In the past few years King County has rocketed up the charts of the most expensive places to buy a home or rent an apartment. A big factor in housing demand is job growth, which lures people to move here. But the balance between job and housing growth has changed, too. The region actually built housing a little more quickly than it added jobs in the 1990s and 2000s. In other words, it roughly built enough homes for people who needed it, helping prevent the intense competition that can push up home prices and rents. Specifically, housing growth in Seattle has nearly kept pace with jobs, but not in the suburbs. 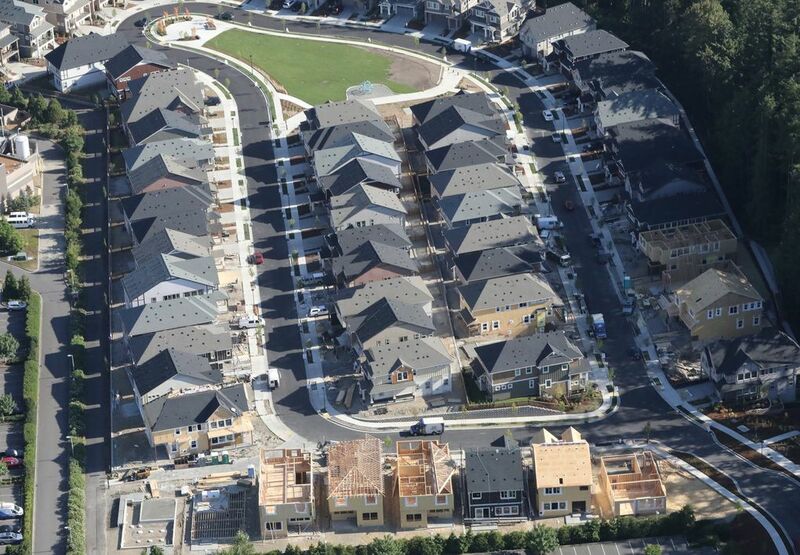 So which King County suburbs are building more housing than others? Looking at the 15 biggest suburbs in the county (ones with at least 10,000 housing units), Des Moines added the smallest amount of new housing, with its housing stock ticking up less than 1 percent so far this decade. Total housing grew 4 to 5 percent in Federal Way, SeaTac, Shoreline and Mercer Island. Shoreline Mayor Will Hall said his city’s experience is a fairly typical one in suburbia: It grew with single-family subdivisions from the 1950s to 1980s. That hasn’t happened much, even in areas zoned for apartments, and Hall blames a lack of developer interest; apartments are generally a riskier and potentially less-profitable venture than building new single-family homes. But it’s not like builders have many options. 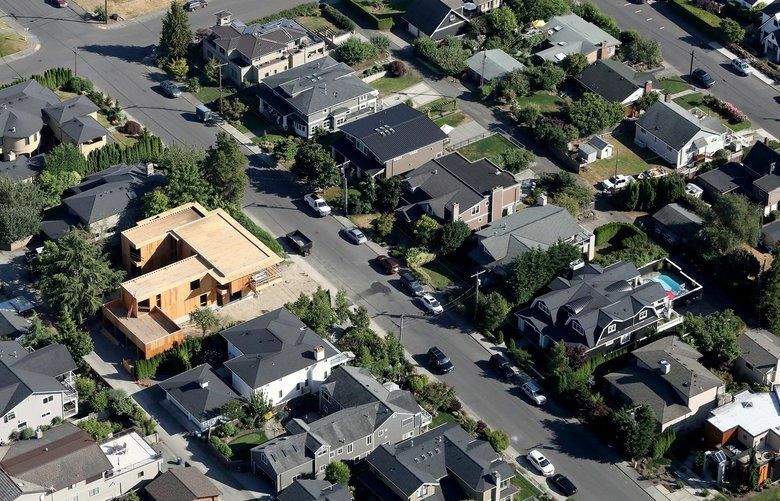 All but a couple of small strips in the city are zoned exclusively for single-family homes. The same is true throughout King County. Hall hopes development will pick up following recent upzones near Shoreline’s two upcoming light-rail stations, where the city has allowed seven-story buildings that could collectively hold as many as 25,000 new housing units. Other towns are generally channeling their growth near transit, as well. On the other end, Redmond grew its housing stock by about 15 percent this decade, behind only Seattle among major King County cities. Redmond is actually one of three King County suburbs (along with Issaquah and Federal Way) where a majority of homes are in multifamily buildings. The extra housing hasn’t exactly turned Redmond into a bastion of affordability – rents are still up 55 percent this decade. But that’s actually one of the smallest increases in the broader metro area, where rents on average are up 69 percent this decade. Bellevue added 11 percent more housing this decade, about halfway between the local suburban average and Seattle, which makes sense given that most of Bellevue is suburbia, but its downtown has been growing quickly with new skyscrapers. Still, Bellevue’s housing stock overall is growing at about half its historical average. If you look at all the towns in the county, even teeny-tiny ones, you’ll find one place that actually lost housing this decade: Ritzy Clyde Hill, where the median home costs $2.6 million, lost eight homes since 2010. Other small towns where housing growth this decade totaled 3 percent or less are all over the place in terms of geography and housing costs: Algona, Beaux Arts Village, Black Diamond, Hunts Point, Lake Forest Park, Normandy Park, Skykomish, Tukwila and Woodinville. Some of the small towns have essentially banned apartments. Medina and Hunts Point have zero homes that are not single-family houses. Clyde Hill, Skykomish, Beaux Arts Village and Yarrow Point have fewer than 10 multifamily units each. The trend of housing being funneled into Seattle and away from the suburbs is likely to continue. Right now, Seattle has 62 percent of all the apartments under construction in King County, according to Apartment Insights/Real Data, which tracks construction and planning of buildings with at least 50 units. 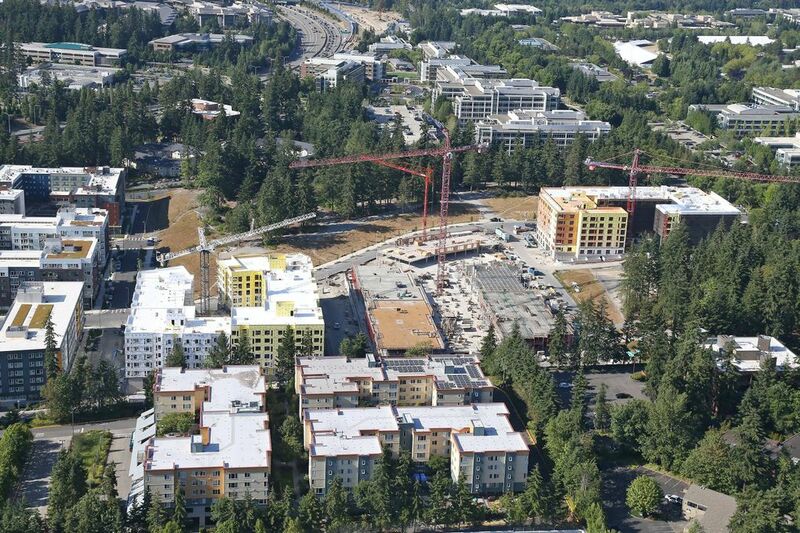 In the county’s suburbs, Redmond and Bellevue host more than half the apartments underway now. But looking farther into the future, the forecast calls for an even stronger divergence: Seattle has 82 percent of all the apartments planned but not yet under construction in King County, among large buildings. Actually, there are more apartments planned in the core of downtown Seattle than in all of the county’s suburbs combined. Not all of those units will get built, but still – Seattle has nearly 28,000 apartments in the pipeline, while all the suburbs combined have about 6,000 planned, among large buildings. King County suburbs that have exactly zero apartments buildings of at least 50 units formally in the planning stages include Tukwila, Enumclaw, Bothell, Burien, Federal Way and SeaTac (though some of them likely have some smaller buildings in the works). Of course, a big part of why housing doesn’t get built in many suburbs is community opposition. Marchione, the Redmond mayor, guesses about one-third of his city’s residents are generally opposed to all the growth. What does he tell those people? “I ask, where do you want your kids to live?” Marchione said. He also tries to counter the impression among some homeowners that renters are “other,” different people, noting that he himself recently downsized from a single-family house to an apartment. “Your mayor is one of those people,” he likes to say. Update: This story has been updated to remove Shoreline from the list of cities with no major apartment projects in the pipeline.